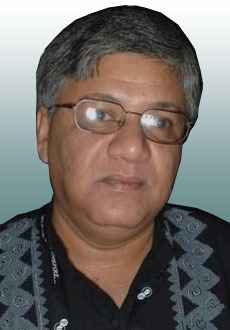 Morshedul Islam was born in 1 December 1958 in Dhaka. He had his B. Pharm (Hon’s) and M. Pharm degree from Dhaka University. He introduced himself as a filmmaker in 1984 with the short film “Agami” while he was a student. With the film “Agami”, there started a short film revolution in Bangladesh, which is known as ‘Alternate Film Movement’ later. “Nouka O Jibon”, “Shuchona”, “Chaka”, “Dipu Number Two”, “Dukai”, “Brishty”, “Shorot 71”, “Durotto”, “Khelaghor” are some of the famous films made by him. He and his films took part in more than 40 international film festivals in different countries of Asia, Europe and America till now. His recent film "Priyotomeshu" is the first film in Bangladesh to get censor certificate in DV format. it was screened in various cinema's across Bangladesh in DVD using hidef multimeida projectors. his latest work AMAR BONDHU RASHED released in March 15, 2011 based on the book of the same name by Muhammed Zafar Iqbal..